"Strong Product for Guys with Basic Humor Skills"
This product will give you a clear understanding of how the humor skillset relates to attracting women. For people who have very little understanding of humor it may not provide enough basic introduction to allow you to implement it. For people with a reasonable understanding of humor this could make a big difference to your success with women. Not all of these subjects were covered comprehensively. 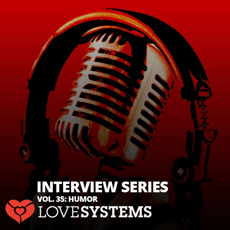 Throughout the interview Braddock and Cajun describe many ways to look at humor which I have no doubt will lead even first timers to dating advice to understand its importance and the role it plays in attracting women. A range of concepts are introduced which are clear and straightforward. Great stuff, and relatively innovative. For guys who are already accustomed to dating advice, it will make a lot of sense - even seem common sense - but it is worth listening to it in any case - having improved clarity on a subject always improves your game. The big common issues that guys typically trap themselves with when using humor were tackled. I particularly liked the section on when to avoid using humor. This was a level of subtlety that I think many guys won't be aware of. It is exactly the sort of things they cover here that can lead a guy to sabotage his game and success with women for a long time without realizing it - so hearing them point out a lot of details of these subtleties was great. Another area which will be invaluable to guys was the discussion of calibration and how to deal with situations. This is another area where a lot of guys get tripped up. The one area this audio didn't do the theme justice was on the most basic principles of humor themselves. How does humor work? What is humorous? Why is it humorous? There has been content in the dating advice market for a long time on these exact themes, which helps guys to understand how to create a sentence or phrase that is humorous. This level of detail was missing in the product - it was kind of like they skipped the most basic level, assuming that people understand humor. However... the reality is that a lot of the guys who could most benefit from this product need that basic content to connect the rest. On the positive, there were some good suggestions on how to learn some relevant humor. For example, they recommended watching specific comedian programs to learn the relevant type of humor. But there wasn't enough. They also highly recommended some types of classes and an exercise at the end. This was good, but I felt that many newbies would need more to get all of the value out of this product and be able to implement it. They need more guidance on how to learn, in what can be a tricky subject for some because of its subtleties. This is the best product I've seen so far on a very core skillset not just for attracting women and improving your relationships with them, but also the quality of your social life and relationships with people in general. It has some practical implementation aspects that haven't been given a thorough enough look at, that may make it harder for newbies to apply. But overall I'd still recommend getting it if you think humor is an area you can improve upon. For intermediate guys who are not yet 'smooth' with their humor, this could help take your game to a whole new level.